As you already know, our dedication is to education and conservation. The problems many species, like sea turtles, encounter are a direct result from lapses in judgment by humans. Oftentimes, we don’t even realize the small things we inadvertently do that threaten different species. We need to lend a helping hand to ensure any endangered species is not threatened by the human race. For example, we sponsor a program in Volusia County, Florida where people can adopt sea turtle nests. Sea turtles are often at risk from pollution, fisherman’s nets, items left on the beach that they ingest, and even bright lights that cause them to be disoriented. With a little education, people are able to recognize sea turtle nests and realize how important it is to help protect their natural habitat. We need to ensure the eggs, which sea turtles lay, are kept from harm, so the young hatchlings have a chance to make it to the ocean and prolong the species. Conservation today means a better and brighter tomorrow! 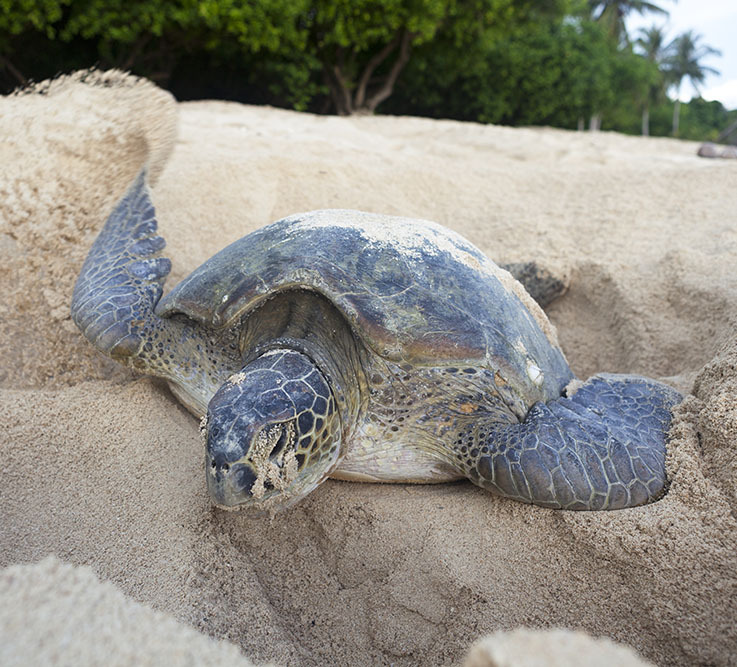 Donate and adopt a turtle nest!